Fancy some free LEGO®? Then visit your local Smyths Toys Superstore today, where you’ll be able to pick-up some a free LEGO Harry Potter set. It’s still not confirmed on what the freebie will be but it’s highly likely it will be the Harry’s Journey To Hogwarts polybag. 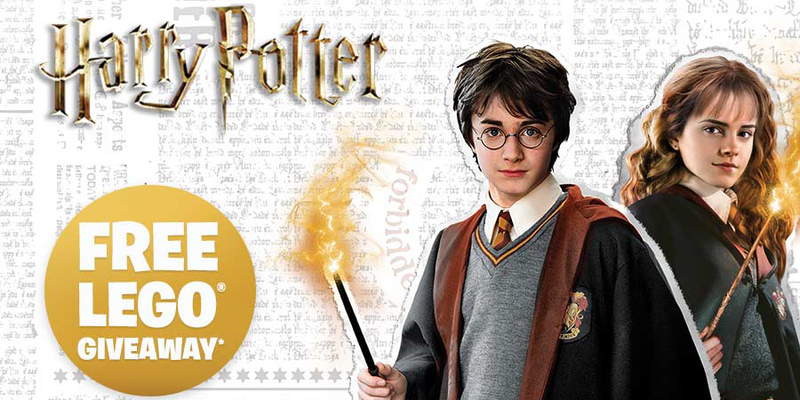 The Smyths Toys Harry Potter Event will take place at all UK and NI Smyths Toys store today only, between 11am – 2pm. Find your local store here. Plus you’ll be able to check out Smyths Toys extensive range of LEGO sets and exclusives. We did. And we got a free Harry’s Journey to Hogwarts polybag!